Kyanite is a mineral, aluminum silicate occurring in blue or greenish bladed triclinic crystals, used as a refractory. In addition to its use as a gemstone material, Kyanite has a number of useful industrial applications, due to its stability at high temperatures. Kyanite is widely used in the manufacture of glass, burner tips, spark plugs, heating elements, high voltage electrical insulators and in the ceramic industry. Kyanite deposits are found in Brazil, the USA (North Carolina and Georgia), Switzerland, Russia, Serbia, India, Kenya, Zimbabwe, Cambodia, Burma and Nepal. The soothing energy of Kyanite makes it a favorite amongst singers and public speakers. It is the stone of tranquility, transforming all energies into positive ones, it never needs clearing as it cannot hold negative vibrations. 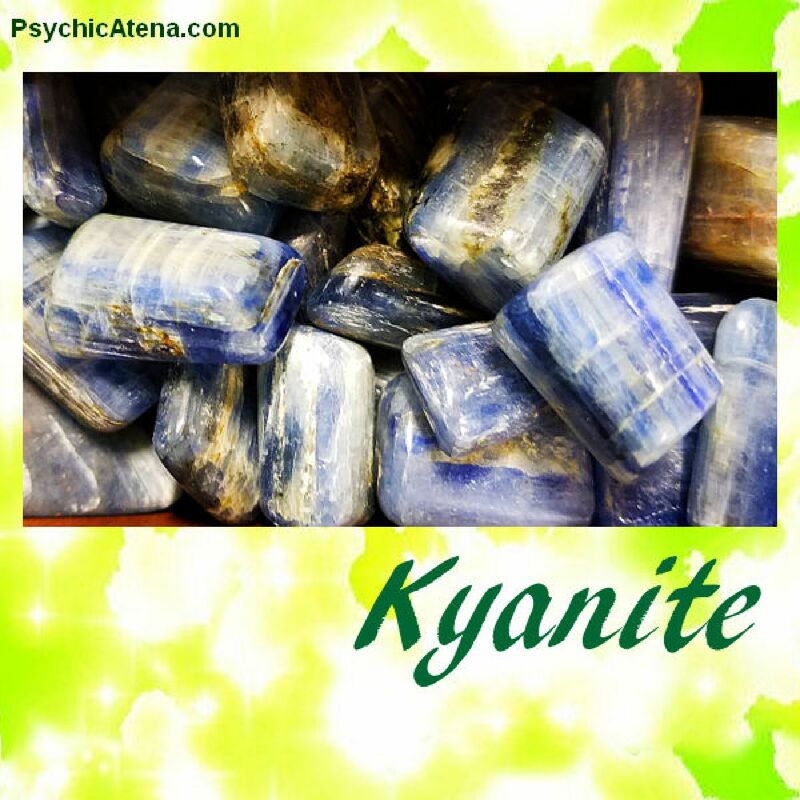 Kyanite aids in meditation and past life regression, also helps in dream recall. It is very useful for overcoming fears and worries, as it provides a calm and steady stream of forward thinking. Helps personal evolution, aids in perseverance and self-expression. Inspires empathy, telepathy, creativity, inner peace and tranquility.